Please notice that in the title of this chapter the word “the” does not precede “community.” To speak of “the” community implies a specific community, perhaps one’s neighborhood or region, or perhaps an intentional community. To speak only of “community” expands the notion beyond the limits of region or a defined context of interaction with our fellow earthlings. We must always remember that the root word in community is commune, a verb with emphasis on the second syllable, which is certainly not synonymous with commune, a noun with emphasis on the first syllable. One dictionary definition of the verb commune is “to converse or talk together, usually with profound intensity, intimacy, etc. ; interchange thoughts or feelings; to be in intimate communication, rapport.” As we ponder this definition we may sense the many layers of community which may not always resonate with it. For example, we may not be in intimate communication with all of our neighbors or members of our town or village, whereas our interactions with other neighbors or nearby friends may indeed reflect this description. May I remind you that when you engage in shadow work, such as that suggested above, you actually are communing with community—both the internal community of characters within your own psyche, as well as individuals external to you in the world. Almost without exception, I have noticed that when people are willing to work on the shadow, it has a positive effect, not only on the person doing the work, but on people around them. Authors and thinkers who theorize about the future of living arrangements in a post-industrial world tell us that we will almost certainly live extremely downsized, simplified lives in closer proximity to (or with) many other individuals. The days of “my little plot of land” for “me and mine” will soon become a distant memory. It is likely that our personal space issues will be challenged mightily as we are forced to share space and resources with a number of others, some of whom may be strangers. In other words, community may look very different than its current landscape in our lives. Inhabitants of industrial civilization rarely understand the extent to which they have been inculcated in extreme individualism until they are confronted with the reality of living with other human beings. Even single families who inhabit an average suburban home typically do not spend significant amounts of time with one another. Between jobs, school activities, social commitments, playing video games, watching TV, and being online, most family members spend much more time with people outside the home than with each other. Moreover, few individuals in the twenty-first century have cultivated interpersonal, intimate communication skills. Some acquire these skills through professional trainings related to their employment, but for the most part, modern humans are immersed in communication through email, texting, chatting, or online discussion groups. Actual face time with others in which we communicate with conscious sensitivity to making ourselves clearly understood and clearly understanding the other is rare. 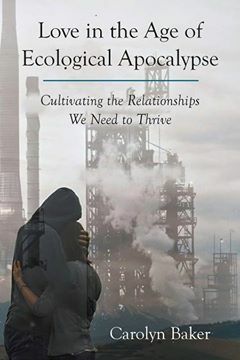 For this reason, I cringe when I think of people in a chaotic world of economic collapse, climate upheaval, and energy depletion attempting to communicate with one another about even the most basic issues when they are so frighteningly inept at doing so. Even more disturbing is the thought of many people with poor communication skills being thrown together by circumstances and living under one roof in turbulent times. Such conditions lend themselves to opportunistic authority figures who will be more than willing to move into a hierarchical vacuum and take charge in a not-so benevolent fashion. Forget consensus. Lack of skillful communication will almost-certainly mean the end of anything that resembles democratic discourse. Yet even in venues such as intentional communities, where residents often process their differences for hours on end, one may find enormous barriers to “intimate communication.” I applaud those who for months, years, or decades have been able to hammer out differences in this context, yet I would argue that the ability to accomplish this is rare and that many more intentional communities dissolve because their members are unable to do so. I believe that quite simply, living in “intimate communication” is still a luxury in which modern men and women can choose to engage or not because their lives do not depend on it. When their survival depends on cooperation instead of processing differences, they will find a way to make that happen. A variety of methods have been utilized in group living situations such as dialog circles and consensus processing, with less than impressive results. One wonders if any technique could produce more results than the reality that my survival depends on cooperating with you. Therefore, perhaps what is most urgent is not mastering skillful communication but learning how to cooperate, even when our differences with other human beings scream loudly and tear at the human ego relentlessly. I know of no better “tools” in this regard than the development of empathy and doing shadow work. Indeed, when another person is being manipulative or intimidating, it is difficult to hold empathy for them. At that point, honest communication is appropriate and necessary. Yet a commitment to mutual survival must supersede preferences. Empathy cannot be cultivated, it can only catalyze from our personal and collective suffering. This is not to suggest that we become martyrs or doormats, but that we incessantly reflect on what we have come through. I hasten to add that this is not the same as reflecting on what we have suffered. The moment we focus on what has been done to us, we are dwelling in ego territory. However, when we can have authentic compassion for ourselves and stand in awe of what we have survived, empathy enlarges because the soul is engaged. We are all living together in an attempt to survive, but we are all dying together as well. Empathy means nothing if we do not recognize this fact. One’s community may be defined as a circle of close friends who over time have consistently given and received support. Likewise, a community may be a group of neighbors who care deeply about each other’s wellbeing and who may or may not engage in community projects together. One may or may not have personal contact with the rest of the community on a regular basis but may be confident that if one is in need, the community will be there to provide support. The structure of some communities consists of an annual or semi-annual gathering in which members have face-to-face contact at those times with much more email or phone contact between gatherings. Whenever conflict arises, something is trying to be created within us and within the other person, or both. As our indigenous ancestors have always known, as painful as it may be, conflict should be welcomed as a wise teacher in our lives and our communities. The soul often generates conflict in order to create something more expansive and to empower us to become larger persons. Relationships without conflict are usually boring and lifeless whereas conflict in relationships breathes vitality and wisdom into the individuals involved, and if allowed, revered, and listened to, can transform a single life as well as an entire community. We face a defining choice between two contrasting models for organizing human affairs. Give them the generic names, Empire and Earth Community. Absent an understanding of the history and implications of this choice, we may squander valuable time and resources on efforts to preserve or mend cultures and institutions that cannot be fixed and must be replaced.